For the first time in Clerkenwell Design Week’s history, City University London will stage one of the festival’s Fringe Events on 19th May, which is focused on construction and structural design. 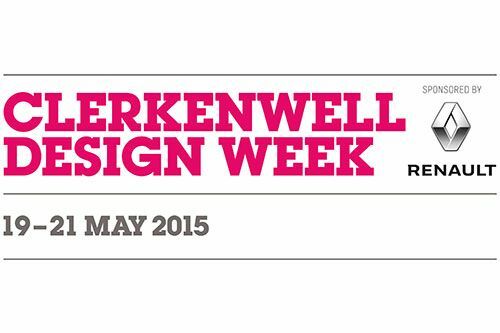 On 19th May, City University London will stage one of the Fringe Events during the 2015 Clerkenwell Design Week – a three-day festival featuring the innovative design work emerging from the historic Clerkenwell design quarter. Facilitated by the School of Mathematics, Computer Science and Engineering, City’s Fringe Event is titled, “Stories About the Z-Axis: The Art and Science of Extraordinary Structures”, and takes place in the Oliver Thompson Lecture Theatre at 5:30p.m. The event will showcase breakthroughs in the design of extraordinary structures which transcend traditional majestic cathedrals and auditoria commonly identified with excellent structural design. On hand will be a panel featuring some of the engineers and architects behind some of the world’s most iconic buildings. These are: Jane Richards, Director for Building Structures at WSP; Sergio De Gaetano, Principal, UK Director and Façade Engineering Practice Leader at Thornton Tomasetti; David Evans, Director of Lynch Architects; and Tim Gledstone, partner at Squire and Partners. Structural design is the methodical investigation of the stability, strength and rigidity of structures. The basic objective in structural analysis and design is to produce a structure which is capable of resisting all applied loads without failure during its intended life.